Rare bone cancer surgery done for a 24 year old from Odisha with removal of a pelvic tumor weighing 3.5kg (newly-born-baby-sized tumor). 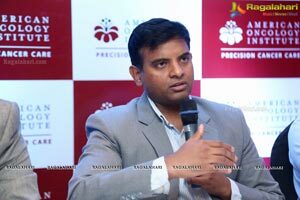 4Kg tumor removed from a 44-year-old policeman from Anantapur, through a complex Musculoskeletal surgery requiring 70 units of blood transfusion during the operation. 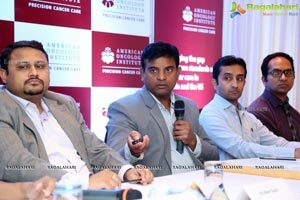 Hyderabad, June 23, 2017: American Oncology Institute (AOI), a Hyderabad based chain of cancer hospitals founded by a group of oncologists based in Pittsburg, USA, today announced the launch of comprehensive Musculoskeletal Oncology program in Telangana and Andhra Pradesh. 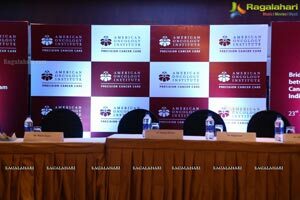 The American Oncology Institute unit at Nallagandla currently operates an end-to-end cancer care program providing Radiation Oncology, Medical Oncology, Surgical Oncology, Blood and Bone Marrow Transplant and comprehensive diagnostic services apart from Musculoskeletal Oncology program. 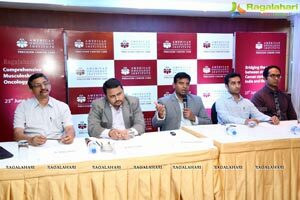 In recent times, India has seen an increase in cancer incidences due to factors such as industrialization and lifestyle changes. India has reported over 11 lakhs new cases per year and this number is expected to be around 21 lakhs by 2020. Sadly, more than 70% of these cases are reported in advanced stages, leading to poor survival rates. Musculoskeletal oncology is specialty of orthopedic surgery focused on the diagnosis and treatment of benign and malignant tumors and other unusual lesions of both the pediatric and adult musculoskeletal system. Primary bone sarcomas are rare tumors but bone sarcomas constitute the third most common cause of mortality in adolescents. Pelvic bone tumors often grow large and there are higher chances of patients’ death if not treated within definite timeline. Although rare, these cancers can develop in any part of the body that involves a bone including, hands, arms, elbows, shoulders, scapula, feet, knees, thighs, hips, pelvis, or the sacrum. Smaller tumors have more favorable course of diagnosis and treatment than the larger ones. Distal Tumors that occur in bones farther away from the center of the body such as limbs have a more favorable prognosis than Proximal tumors that occur close to the central part of the body such as skull, vertebrae, sternum, ribs and pelvis. 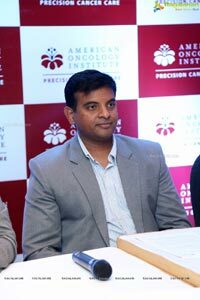 The Musculoskeletal Oncology Program at AOI is led by Dr. Kishore B. Reddy and a specialized team of experts who adopt a multidisciplinary approach. The qualified team treats both cancerous and non-cancerous bone and soft tissue tumors, in addition to providing comprehensive care for genetic and acquired bone cancers. The team leverages evolved technology and techniques to treat Musculoskeletal cancer of all types for all age groups. Whether the disorder is straightforward or multifaceted, AOI integrated team of surgical, medical and radiation oncologists work together to understand the patient’s unique diagnosis and treatment requirements, and delivers the optimal treatment possible. 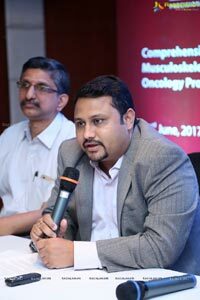 Dr. Kishore B. Reddy: Consultant & Chief of Musculoskeletal Oncology, American Oncology Institute said, “We evaluate and treat patients with primary and metastatic tumors of the bone and soft tissues. Our large team comprises specialists who can provide solutions for all types of orthopedic disorders for both cancerous and non-cancerous ones. 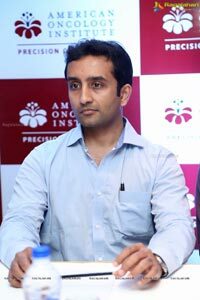 AOI also provides a comprehensive rehabilitation program which helps patients immensely to recover faster”. When 24-year-old, Dilip complained of recurring pains in pelvic, hip and leg, the doctors in Orissa failed to diagnose – not knowing that a ‘new born baby-sized tumor’ might be growing in his pelvic region. As the tumor progressed it was making even a simple activity like sitting on chair, unbearable. In last six months, Dilip’s family was running from pillar-to-post in search of right treatment in their home town. They saw a light at the end of tunnel, when a local doctor referred them to Dr. Kishore. They immediately decided to travel across 1000 kilometers for a right prognosis. MRI scan revealed that he was suffering from a very large cancerous tumor weighing around 3 ½ kg. 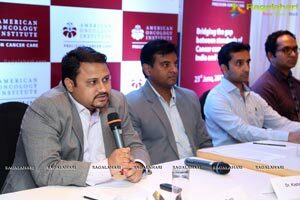 It is reported that only 1 in 10 lakhs get diagnosed with huge pelvic tumors weighing around 3 ½ - 4kg. During a 9-hour marathon procedure at American Oncology Institute, the team of surgeons removed the tumor. He required additional 20 units of blood during the surgery. 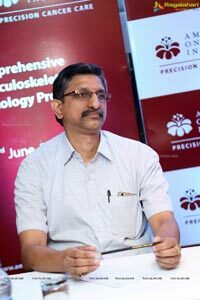 In a bid to avoid amputation of limb, Dr. Kishore performed limb salvage surgery using reconstruction. As part of the treatment the cancerous tumor was removed and then graft (mesh) was attached to the remnant tail bone. The patient is recovering well and is walking on his other leg. He will be able to get back to his normal life in next six weeks. Six-feet tall and weighing over 95-kgs, Sai Prasad from Anantapur was suffering from abdominal pains from long time. 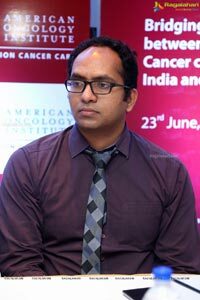 He came to Dr. Kishore with large 4 Kg tumor in his pelvis area. He underwent a very complicated pelvic reconstruction surgery which led to massive blood loss, requiring 70 units of blood transfusion during operation and continuous close monitoring. After a successful surgery which helped to restore the structure & function of the bone, he has resumed normal life. 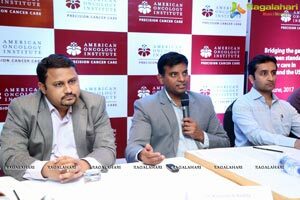 American Oncology Institute (AOI) aims to close the gap between standards of care in India and the US. 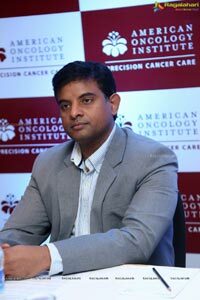 In order to do so, the institute transports all the advantages of the latest cancer treatments from the most advanced countries of the world to the people of India. This ensures that the patients receive care that is at par with what is available in the western world. The center at Hyderabad provides comprehensive cancer care including radiation oncology, surgical oncology, medical oncology and comprehensive diagnostics apart from Musculoskeletal Oncology program. 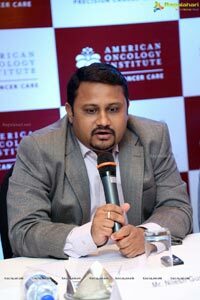 AOI operates a chain of cancer hospitals in multiple cities of India including Vijayawada, Guntur, Coimbatore and Ludhiana and plans to open about 17-18 such centers across India and South Asia in the next 3-4 years.